Thinking of doing something in or around Las Vegas but not sure what? How about fishing at Lake Mead? There are a variety of species of fish you can find at Lake Mead. There are rainbow trout, largemouth bass, channel catfish, striped bass, bullhead catfish, green sunfish, bluegill sunfish, carp, and more! You will also find similar types of fish at Lake Mohave. 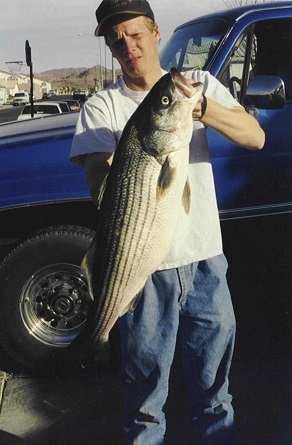 Capt John Wood is a NPS registered fishing guide and one of the best guides on Lake Mead. He knows all the best fishing spots!